Well, they certainly got that right. 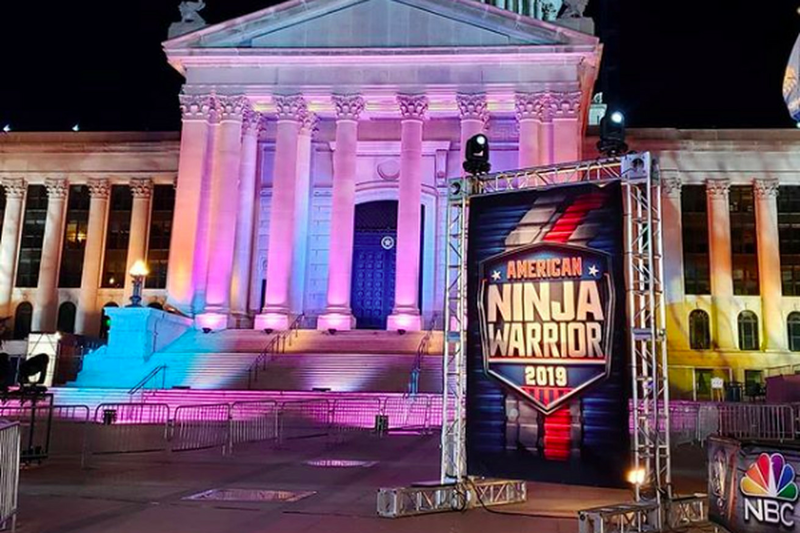 For the second time in the show’s history, Oklahoma City was home to American Ninja Warrior for a few nights. The show taped the Qualifiers and City Finals right in front of the State Capitol Building. And for the second time, the winds were certainly sweepin’ down the plain. A swath of bad weather swept through the area, bringing cold temps, rain, and WIND. While it created a delay in taping, it would take much more than that to bring down the American Ninja Warrior crowd. The cast, crew, competitors, and audience all made the best of the situation and made some great TV in the process. First of all, we don’t even know what it take to bring down Matt and Akbar’s spirits. #ANW in OKC. Let’s go! Rodgers & Hammerstein are gonna need a new chorus before we’re done! But no matter what happens around a taping, the chills and delays never take away from camaraderie and support of the community. Everyone has waited so long for this moment. It’s theirs, no matter what. Our incredible coaches @dungbeetlestrong and @ben.ninjaman ran the American Ninja Warrior course in Oklahoma City this weekend! We can’t wait to see this episode! ⬇️Who can tell us what’s funny about their shirts!? We’ve said this before, but the audience are always MVPs in our eyes. The situation doesn’t matter. They are there to support their Ninjas and they’re excited for the experience. We had to appreciate the Oklahoma-flare where we could. And, naturally, it’s all about your attitude in any situation. The hardworking crew kept smiling through it all. Oklahoma, thank you for all the love and support! Next time around, maybe we won’t order the side of rain.